In another masterful display that left his opposition floundering, World of Outlaws champion Donny Schatz won his ninth Australian Sprintcar Open with a dominant performance in the 50-lap feature race on Saturday night (January 5). Biding his time behind countryman Logan Schuchart through the early stages, Schatz pounced on lap 21 and was clinical in collecting another $20 000 payday. Schuchart remained second to the end, with Australian champ Kerry Madsen, a two-time winner of this event, finishing third on this occasion. Series leader Steven Lines was strong again in securing fourth ahead of Jamie Veal and Lachlan McHugh, who certainly earned his American Racer Hard Charger Award with a big run from 16th to sixth. Devoid of the pace he produced the previous night, James McFadden finished seventh, with Carson Macedo, Jessie Attard and Rusty Hickman rounding out the top ten. On a night when all race categories delivered some fantastic racing for the huge crowd, feature winners were Robert Mazzer (Wingless Sprints), Matt Hardy (AMCA Nationals) and James Kennedy (Formula 500s). Faced with vastly different track conditions than the previous evening, racing got underway with Michael Saller leading all the way to win the opening heat of the night over Kevin Titman and Brooke Tatnell. West Australian young gun Mitchell Wormall outpaced the field in heat eight, leading home Macedo and Danny Porter, with Schuchart and Schatz next in line. A bustling run from Brent Aprile carried him to victory in heat nine, with Brad Keller and Jack Lee filling the minor placings. Schatz was sublime in heat ten, starting from position nine and surging through the field to score a stunning win. Darren Jensen finished in second spot, with Lines advancing from row four to secure third. Saller doubled up to win heat eleven in advance of Schuchart and Peter Lack, with Wormall also securing a second win when he downed Keller and Madsen to win the final heat. With so much at stake, the B Main was always destined to be a torrid encounter and it took a while for the race to settle into a rhythm. The first attempt to get the race underway was halted when Saller spun in turn two, with the second effort only making it a few metres further before Ryan McNamara tipped over in turn two. When racing did get underway, Keller only led the opening lap before being usurped by Lee. Entering turn one on lap four, Titman tagged the back of McHugh and spun before being collected by both Porter and Wormall, leaving Titman on the infield while the others rejoined at the back of the field. Lee continued to hold sway out front as McHugh advanced into second spot after starting ninth, leaving Keller third at the flag. Aprile, Randy Morgan and Andrew Scheuerle completed the first six to secure their places in the feature race. The Pole Shootout started with Madsen and Jye OKeeffe advancing from the opening round, confining preliminary feature winner Rusty Hickman and overnight point leader Jessie Attard to the fourth row. The second round saw Madsen advance again, this time taking Schuchart with him to make Luke Oldfield and OKeeffe a row three pairing. The final clash saw Madsens run end as Schuchart snapped up pole position from Schatz, with Lines to share the second row alongside Madsen. Schuchart led Schatz through the first lap as the field jostled for position behind them, from which the big mover was Hickman as he leapfrogged Attard, Oldfield, OKeeffe and Lines to slot into fourth behind Madsen. Further back, Macedo had advanced to sixth and McHugh was already closing in on the leaders to be sitting inside the top ten after ten laps of racing, by which time Schuchart and Schatz hit traffic. Tatnell headed infield on lap 14 and was joined by Keller two laps later as Schuchart continued to hold sway at the front. However, on lap 21 as they loomed upon Scheuerle, Schatz pounced to grab the lead and skipped clear as Schuchart took several more laps to clear the Archerfield track champion. Madsen remained third ahead of Hickman and Lines as Oldfield started to backslide through the field, enabling Macedo and McHugh to continue their forward progress. As the race continued without interruption, Schatz expanded his lead and just when it looked as though it might run non-stop, Hickman and Lee had other ideas and brought about the only restart when they tangled and stopped in turn one with only one lap remaining, necessitating a green-white-chequer finish. The interruption was of little consequence to Schatz as he reeled off the final two laps to emerge triumphant once again. Schuchart remained second ahead of Madsen and Lines, with a late surge from Jamie Veal carrying him to fifth ahead of McHugh, with James McFadden also moving ahead of Macedo for seventh. Attard and Hickman were next best, followed by Jock Goodyer, Oldfield, Peter Lack, Scheuerle, OKeefe, Aprile, Randy Morgan and Lee. Following heat wins to Jacob Jolley, Cody OConnell, Paul Robinson and Mason Cattell, it was Robert Mazzer and Jamie Usher who did all the front running in the Ian Boettcher Race Parts Wingless Sprint feature race. Mazzer led the feature race field away, with OConnell holding second momentarily before Usher took the position on lap six and quickly chased down the leader. The two engaged in a terrific scrap that eventually resulted in Mazzer sneaking home by a mere 0.080 as they hit the line together. OConnell filled third spot ahead of Cattel, Robinson, Matt Wright and series leader Dan Moes. The 20-lap AMCA Nationals feature race followed an almost identical trajectory, with Matt Hardy taking an early lead and being reeled in by Steve Potts, who wasted little time in advancing from position 10. Emulating Usherâ€™s effort in the Wingless Sprints, Potts ran the outside alongside Hardy and another thrilling finish ensued, with Hardy prevailing by just 0.089 in a side-by-side swoop under the chequer. Russ Hardy rounded out the podium ahead of Stuart Jefferies, Nathan Durston, Kevin Stow and Thomas Vickery. Heat winners were Stow, Matt Hardy, Shane McKinnell and Steve Price, with neither McKinnell nor Price going the distance in the feature. Chasing a third consecutive feature race win, Price exited on lap six, while McKinnell headed infield following a spin on lap 14. With Kristin Brown and Tarhlea Apelt both winning heat races, the 15-lap Formula 500 feature race would feature an all-female front row and it was Brown who got the best of the start to lead Apelt and James Kennedy. Having disposed of Apelt early, Kennedy chased down Brown and stole the lead on lap nine. Whilst the top two spots remained unchanged through to the finish, misfortune befell Apelt when she happened upon a spun Garry Edwards in turn one. Her efforts to take evasive action resulted in contact with another car that left her with a flat tyre and dashed her hopes of a podium finish. Nathan Pronger inherited third and held the position to the end ahead of Ryan Skennar, who was also a heat winner. Brady Argles filled fifth, with Jacob Gray, Ronnie Barber, Tristan Johnson, Cameron Bertuch and Tomas Partington rounding out the top ten. 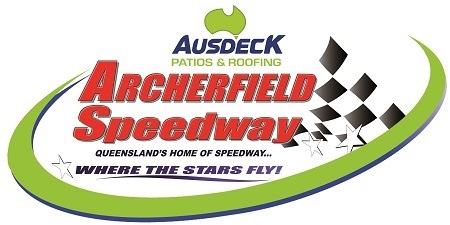 The next event at Ausdeck Patios Archerfield Speedway is round seven of World Series Sprintcars on Wednesday night (January 9).